Are you sick and tired of changing your nylon cord in you brushcutters head? Then the Weedwakka range is exactly what you are after. This mechanism can be attached to your straight shaft brushcutter and will make your job so much easier. No cord, no adjusting and no tangles! 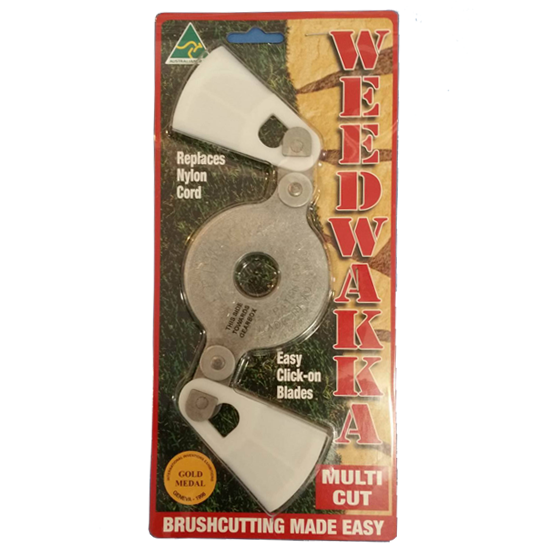 The Weedwakka outperforms nylon on every level, with replaceable blades that can be fitted without tools and in seconds. This specific head is ideal for general cutting swell as around trees, concrete and fences.